On Blogger, I view my stats from time to time. Today, I am sharing a post that has received the most views. 10,121 to be exact. It all started when I ordered Lemon Berry Mascarpone Cake at a restaurant. Recently, I was lucky enough to receive a box of "THE" CAKE that Sysco makes, so I took a picture of the ingredients for you. There are a million ingredients, and we will NEVER be able to duplicate this cake at home. But my recipe comes close, and we are loving it. This is the Sysco cake that I photographed. We enjoyed a lemon berry cake with a mascarpone filling at a restaurant, and I was inspired to duplicate it for my birthday. 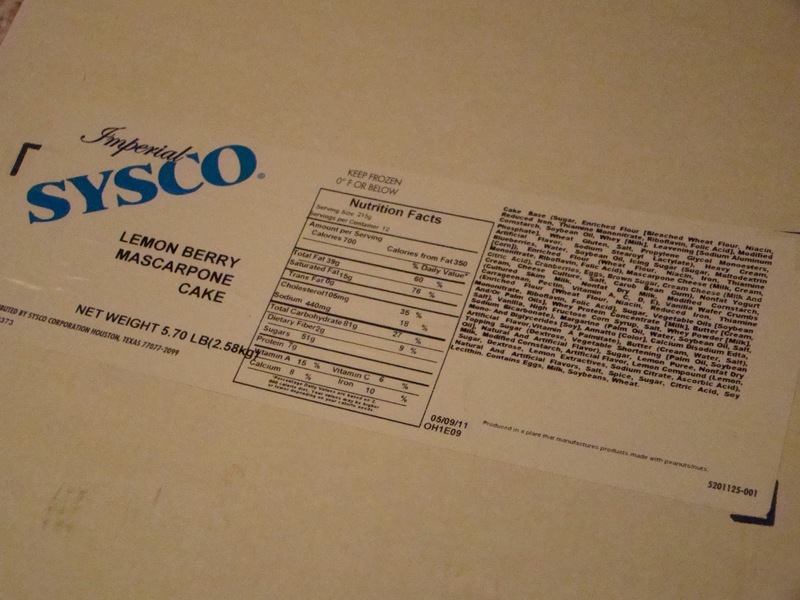 The restaurants that serve the lemon berry cake buy it ready-made from Sysco Foods. The information on the Sysco website states: "Two layers of moist cream cake with cranberries, blueberries and cinnamon streusel baked into each cake then filled with fruit and a lemon mascarpone cream." The recipe I used is for a firm cake. If you prefer a moister cake, you may want to use a different recipe for the cake part. One of my readers told me they used Joy of Cooking's Sour Cream Cake recipe for the cake part., and said it was "light, moist and incredibly yummy!" Preheat oven to 350 degrees. Butter two 8" round baking pans and set aside. Prepare crumb topping and set aside. Using a pastry cutter, cut in butter until your crumb topping resembles peas. You want crumbs, so don't overmix. Sift together flour, baking powder and baking soda, and set aside. With a mixer, cream butter and lemon zest until the butter is soft. Add the sugar and beat to mix well. Add the eggs, one at a time, beating after each addition until thoroughly incorporated. Scrape down the bowl as needed. On low speed, add the dry ingredients in three batches alternately with the sour cream in two batches, beating only until incorporated after each addition. Scrape batter into buttered pans and smooth the top. Sprinkle each cake batter with half of crumb topping and 1/2 cup (or more) of mixed berries (I used a frozen mixture of blackberries, blueberries, strawberries and raspberries). Bake for 30 to 45 minutes, until a cake tester or toothpick inserted in the middle comes out clean and dry. Baking time may vary with different ovens and types of pans. 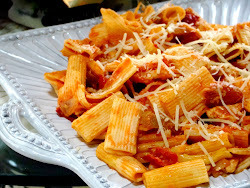 Beat all ingredients together with a whisk until soft peaks form. If you want to make the filling sweeter, then add a bit more sugar. You might have to add a little more cream to keep the filling from getting too stiff. 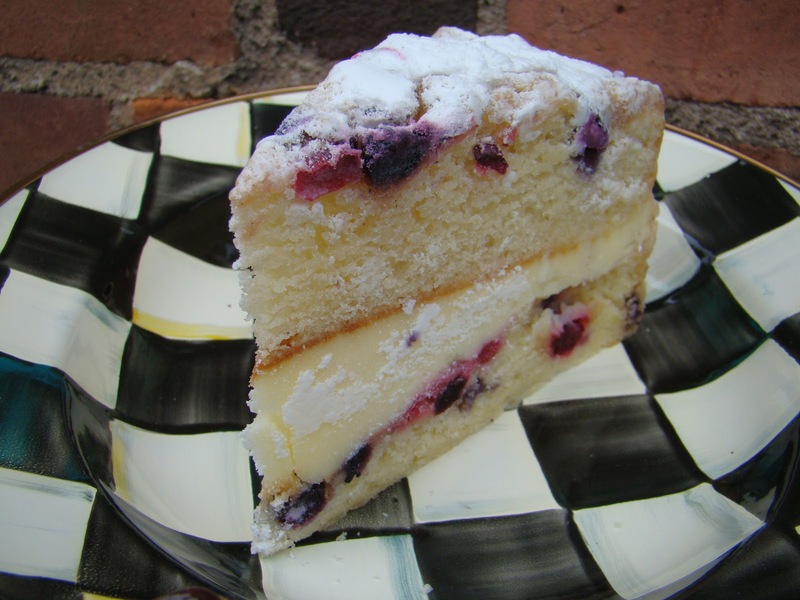 Spread cream filling over a cake layer, sprinkle with a handful of fresh blueberries, and top with the second cake layer. Refrigerate at least two hours and serve cold. This dessert is served cold, and keeps well in the fridge for 3-4 days. You can drizzle some raspberry sauce on the plate for a nice presentation. I sprinkled with confectioners sugar. My heart aches for all the people on the east coast affected by Sandy. 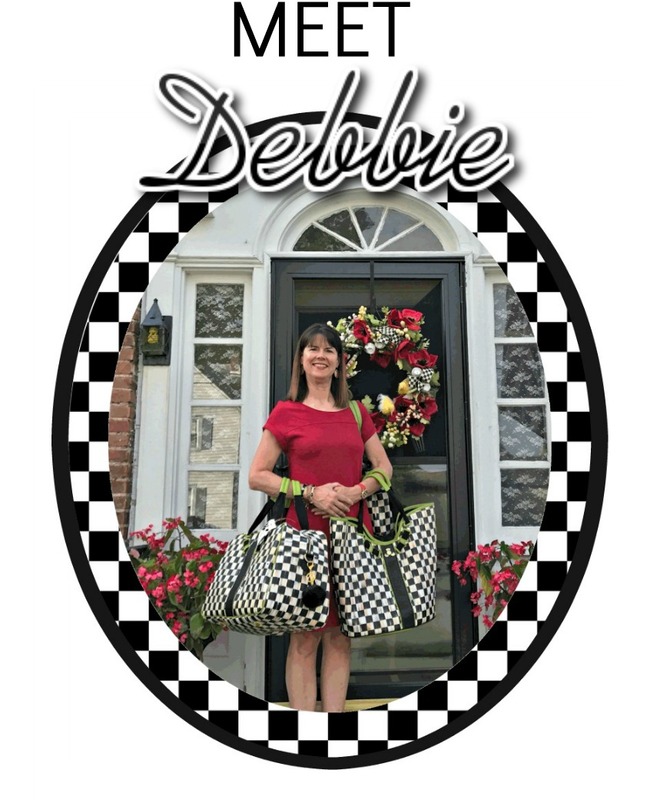 I know, Debbie, I am praying for all the people still suffering from Hurricane Sandy. Your cake looks wonderful. Thanks for sharing your version of this special cake. I agree with Savoring Time in the Kitchen, above. I like recipes that contain fresh pronounceable ingredients. Oh my word~ that cake is divine! Next time I see one of those Sysco trucks parked I'm going to want to break in :) I'd love to try your version! in the Sysco ingredients list...propylene glycol?! Yuck! Just tried Sysco's cake a food show today. BEST.....CAKE.....EVER!!!!!! Great recipe, my only issue was that this is a very dry cake. I know it was said that it would be, but I guess I didn't think it would be THIS dry. Also, if this is your first time working with mascarpone cheese, be careful not to overwork the filling or it will curdle. I still like this recipe, my cake came out beautifully, just a tad dry.